Congratulations to Columbia 18-Black's Taylor Little! Taylor (Cove HS) is the first of our 2015 Seniors to make her decision on where she intends to play next fall. Taylor has made a verbal committment to play for the (NAIA) College of Idaho. Congratulations Taylor! Kera Dexter (Selah HS) is playing for Dominican College (just outside New York City.) (Fun Fact: Kera is a former Iron Viking award winner.) 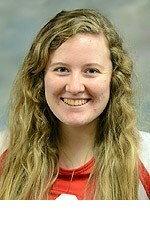 Kera is a setter for the Chargers, and is majoring in Business Administration. Kera was named Domnican College Top Freshman Female Athlete last year! We hope to see all three of these ladies back in our gym soon! For more news from our alumni players check the Alumni News feed, and find them all on our Alumni page. Torri Crawford (Walla Walla HS) just finished her first full-year of play at DI University of Idaho (after redshirting her freshman year.) (Fun Fact: Torri spent two years making the drive from Walla Walla to practice with Columbia and won a number of championships with her teammates due to that dedication.) Torri is majoring in Education at Idaho. Jaymee Steach (Chiawana HS) is a Sophomore at Pacific University (and has both a current Columbia player and a coach in her family.) (Fun Fact: Power League teams sometimes play at Pacific University, so some of our current teams may be lucky enough to have Jaymee show up to watch them play.) Jaymee is headed to medical school after her time at Pacific is finished. Jaymee joins the steadily growing list of players we've seen visiting our practices already. We'll be excited to welcome both these ladies back as coaches in the future. More links to our former players on our Alumni page. 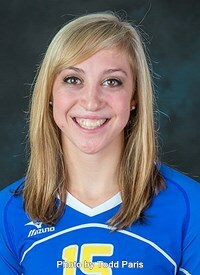 Courtney Dietrich (Chelan HS) is playing NCAA Division I as well, but for Sacramento State University in California. (Fun Fact: Courtney won a State Championship with her Chelan HS team in volleyball.) Courtney is a Child Development major at Sacramento, and having a great volleyball career there. For more on our former players, check out our Alumni Page. Lauren Joseph (Richland HS) is the current setter at Gonzaga University. (Fun Fact: Lauren maintained a perfect 4.0 gpa all the way through High School.) Lauren has been the assists leader for the Zags since she arrived in 2012. Like the rest of our former players, Lauren will make a great coach some day. Kensey Mix (Southridge HS) is now playing for the University of Alaska Fairbanks after playing on two NWAACC Championship teams. (Fun Fact: Kensey's Southridge team had a perfect un-beaten record during her senior league season.) Kensey played for Columbia from the time she was U-14! Follow all our former players as they play in college by checking our Columbia Alumni page. We look forward to seeing these two back at practice this year, and if you get the chance to see their college teams play in the coming season, say Hi from Columbia!